Electa Ann Wicks was born June 28, 1842 in Chautauqua Co., New York, daughter of John Wicks and Julia Anna or Juliana Strunk, and died Mar. 9, 1876 at Bedford, Taylor Co., Iowa. 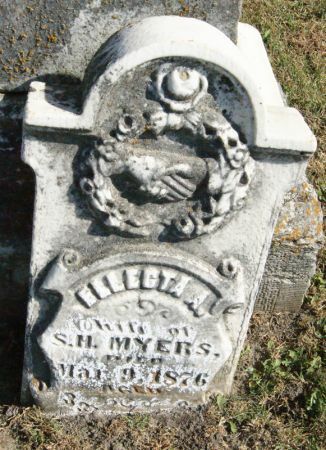 She married Samuel Homer Myers July 2, 1860. Birth date calculated using Tombstone calculator. Death notice available Taylor County, Iowa gen web site. Searching for ELECTA ANN MYERS in Taylor County Iowa?